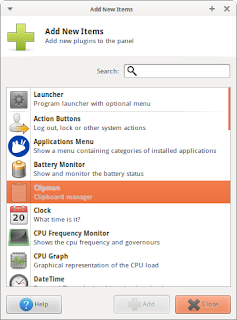 If anything, clipboard managers are among the most underestimated and neglected tools these days. The problem with these is not that they are useless. Actually they serve a great deal of very cool features. Just nobody knows. 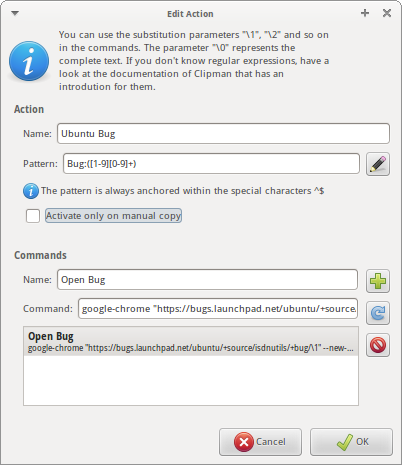 There are multiple different clipboard managers available and most of them have more or less comparable functionality. 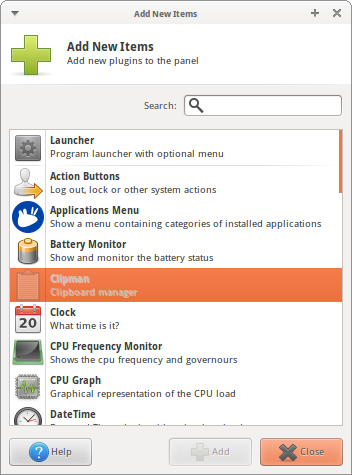 I decided to give xfce4-clipman a try, since I'm a great fan of Xfce. What did I get? actions available immediately after selecting the text. While first two elements are not that important and everyone could live without them, the last one is something absolutely worth trying. 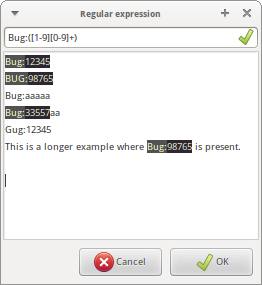 What it does is: once you select text to copy, the text is matched against a regular expression, and, if a match is found, a popup menu with possible actions is presented to the user. 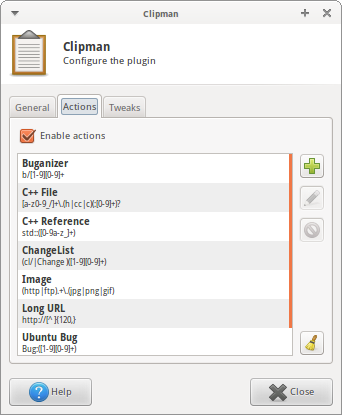 Imagine you work with buganizer and code review tools, for example. In your case, people oftentimes refer to these as: Bug:12345 and Change:67890. 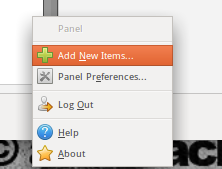 What you do then is open the web browser, navigate to the appropriate tool and paste the number in the search field. That takes time and discourages you from looking into the change or bug almost instantly. Now imagine you could simply select (highlight) the text with your mouse and with one more click simply open the bug or change. 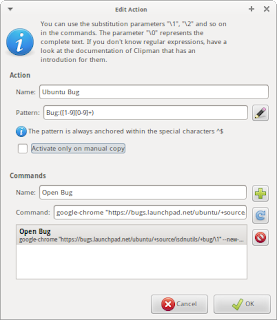 Now, the second you select anything that matches the pattern, say: Bug:12345, a new context menu will immediately pop up suggesting, that you may want to open the Ubuntu Bug number 12345. Try it yourself!